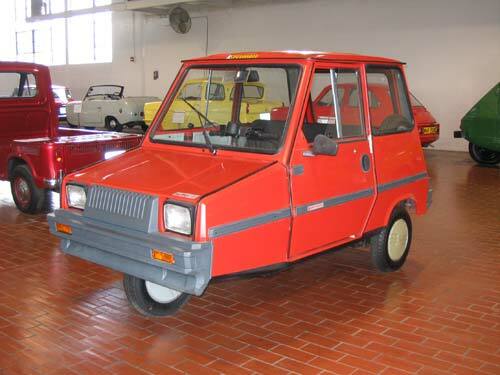 This Italian manufacturer of mopeds, scooters, trikes and small cars produced the amusingly-named Sulky 3-wheeler–a very small vehicle powered initially by a 50cc or 60cc engine. It has all-steel bodywork of very straight lines, mounted on a tubular chassis. With sales of 1,000 per year, Casalini has long outlived other Italian microcar makers and is in fact considered the world’s oldest microcar manufacturer. 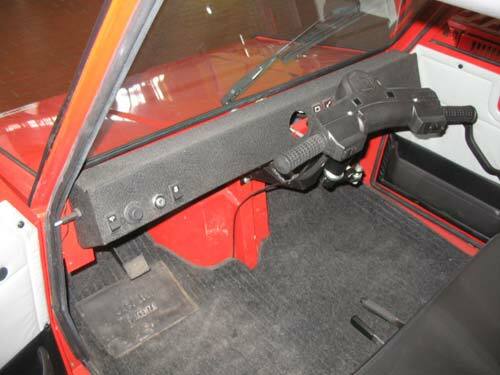 This later Sulky, powered by a 250cc twin, is intended for one passenger, but the bench seat can accommodate two. You will notice that this small vehicle is equipped with a generous cargo area. The single twelve-inch front wheel is steered by handlebars rather than a conventional steering wheel, thereby classifying this as a scooter and not an automobile for insurance and licensing purposes. The Sulky is a little more than four feet high and less than six feet in length. Manufacturer: Costuzioni Meccaniche Casalini S.r.l.